After five long years of early morning starts, late finishes, more knowledge about the smell of bloody stools and pus than I care to know, I have finally graduated this past week and am officially a doctor! No longer at the bottom of the food chain. Well sort of, we're still at the bottom of the food chain but I'll be paid, which means more money for fabric and sewing equipment. And hopefully not less time for blogging. Since I've started on making my own dresses my goal was to make a dress for one of my graduation events i.e. Graduation ball or Graduation day. I can't even remember how I came across this pattern but if it's good enough for Gertie, it's definitely good enough for me. 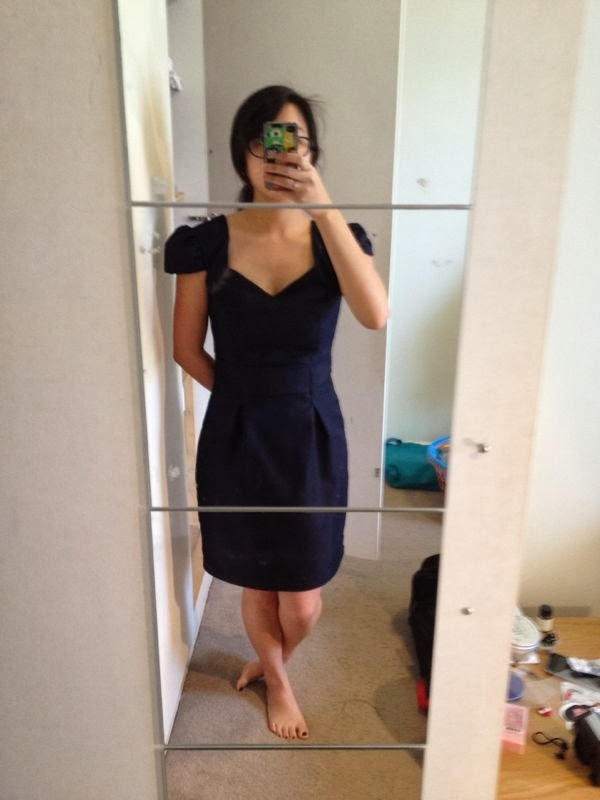 I remember searching the interwebs for a work dress type pattern, and then it was out of print, but luckily there was one for sale on ebay in Melbourne as well. If you follow me on facebook you may have seen the mock up of my dress in blue crepe, I picked it up from a country op shop whilst I was away on my surgical rotation. 4 meters for $5. I'm not good at matching my size IRL to that on the envelope so I cut a 10 and ended up taking in 6 inches from the bodice. And the Disney princess sleeves in the wearable muslin were not flattering even once I had cut the proper size. The confusing thing about this dress pattern is that there is no waist measurement even though everyone who loves eating knows that the tightness of the waistband dictates the amount of food one eats, and thus the wearability of the dress. What can I say I pick my clothes based on comfort factor especially after eating. Like my model shot? My dad took a sneaky picture whilst I was attempting to fix my shoe, lucky he did as it's the only one I have of my dress from the day. I'm seriously proud of this invisible zipper, it's actually quite invisible and the seams match up. I bagged the bodice lining and it came out quite well as I understitched it to avoid it peeking from the top. 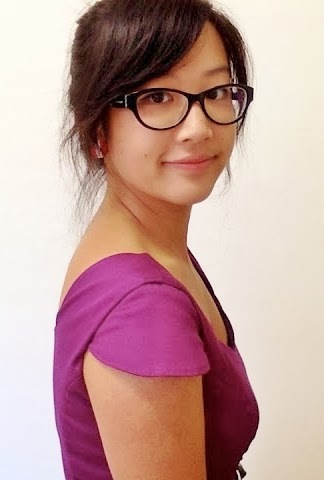 I did try the Disney-esk pattern sleeves in this dress as well, but had to redraft my own cap sleeves to make it wearable. Did it look like the photo/drawing on the pattern envelope once you were done sewing with it? My dress looked pretty similar to the one on the envelope as I had a similar colour. I didnâ€™t really notice the puffiness of the sleeves on the envelope model until after I had put mine in. It looks more flattering on her than it did on me. Were the instructions easy to follow? The instructions were quite good in terms of how they ordered them. However, the instructions on how to add an invisible zipper, line the bodice and sew the split were a bit confusing; there are better instructions on the internet. What did you particularly like or dislike about the pattern? I liked the shape of the bodice and overall silhouette of the dress. However, the sleeves were way to puffy, Disney princess style, so I replaced them with self drafted cap sleeves. I also wasn't too keen on the thickness of the waistband. Fabric Used: Cotton sateen and a poly non-static lining. Pattern alterations or any design changes you made: I used self drafted cap sleeves and decreased the waistband height to help with waist definition. Would you sew it again? Would you recommend it to others? 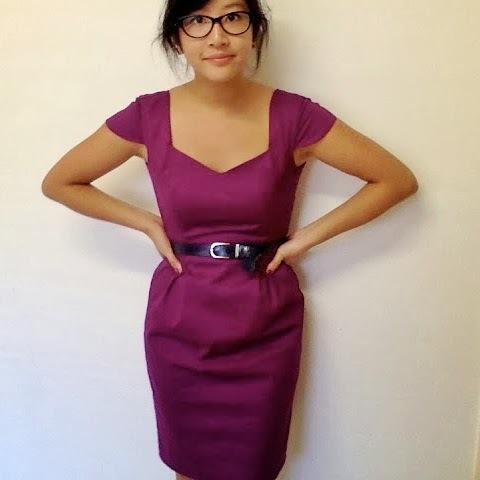 I would sew this dress again, but would recommend that beginners use a muslin as the fit was a bit difficult. 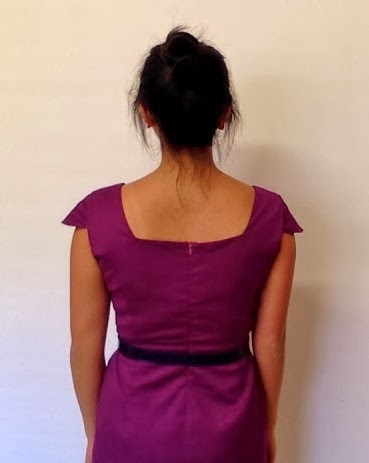 Conclusion: Good pattern for a work dress or a special occasion dress with a flattering sweetheart neckline. Congrats doctor. 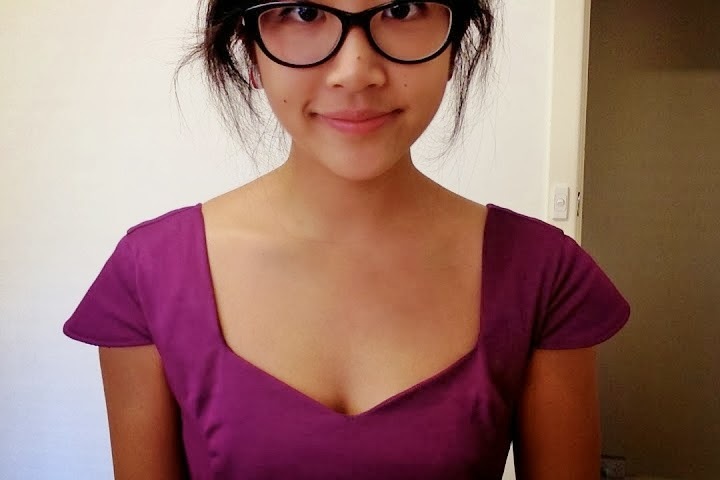 Your dress is lovely. You changed the belt on graduation day. Otherwise your belt would have matched your shoes. Too matchy-matchy? Thanks for the congrats Jane. The belt change wasn't on purpose, I took off the tan belt after grad ceremony and before our big grad dinner so I could eat more, and now I can't find it for photos! I'm glad if I can coordinate bag fabrics let alone my shoes and belt, that would've been impressive. Congratulations Dr. I love your down to earth approach of life and balancing every aspect of it. I know your patients will be so bless with your skills and personality. Thanks for your kind words Bernadette. I want to be the kind of Dr that knows whole families of patients and has little old ladies come and visit to chat with. Hopefully I can be as good a doctor as you think I can. I have followed you off and on for a few years. I'm sure you've been following me off than on since I'm so irregular with my posting, but I'm hoping to post at least twice a month next year. Fingers crossed. Thanks for the congrats. I'm 30% excited and 70% scared about being a 'real' doctor. Is there a Doctor in the house?! I just found your blog from the Burda website and what an accomplishment! Congratulations! Your dress is perfect...on you and for the occasion! Nice work!